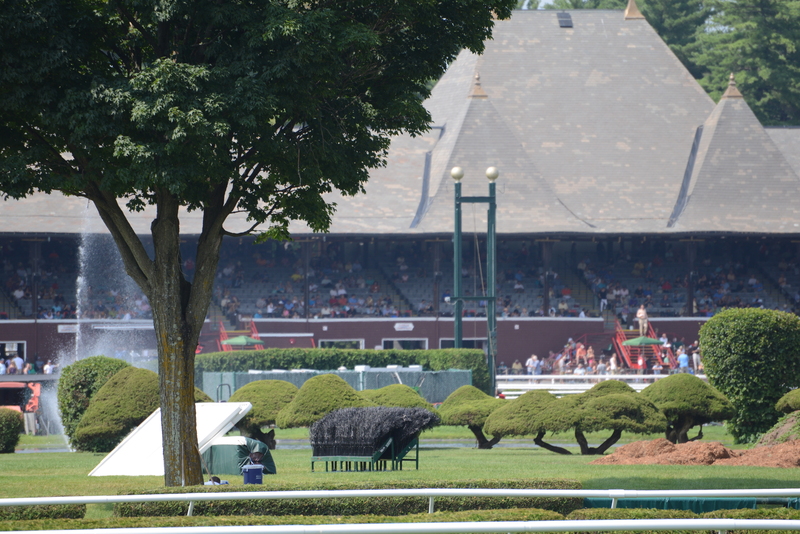 Why did NYRA start cooking the books on attendance? 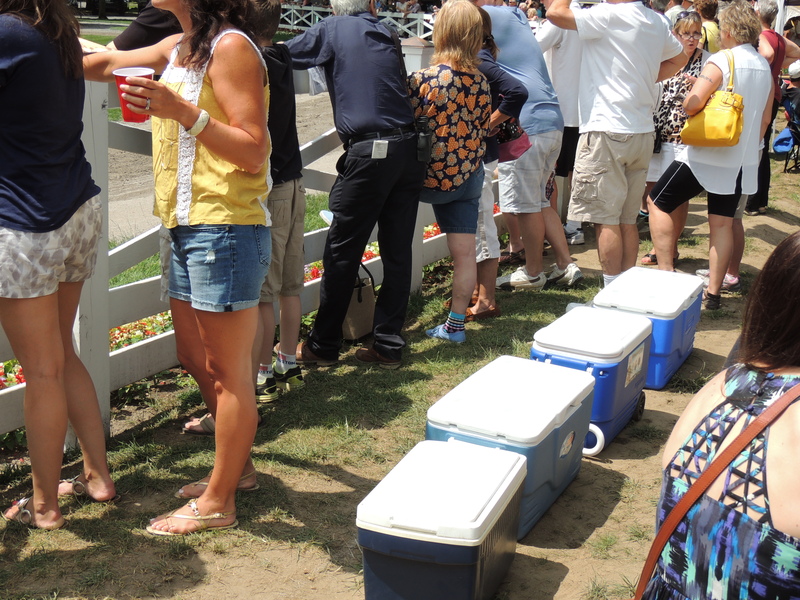 In my review of the second week of racing at Saratoga, I opined that the increase in attendance was the big story for the week. After a drop in 2013 attendance from the preceding year, NYRA reported an 11 per cent increase over 2013 and six per cent over 2012 for the same days. 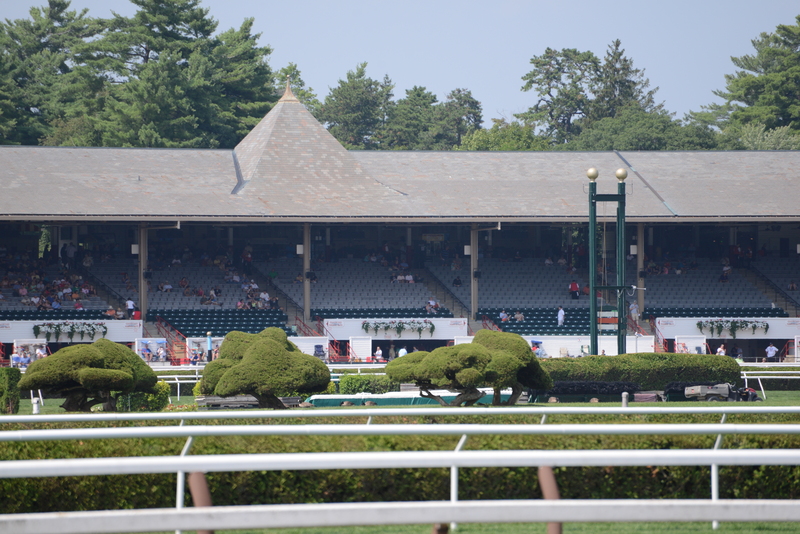 (I omitted give-away days because NYRA had changed the reporting of those days from counting each purchase of a give-away coupon as attendance instead of just reporting those who actually pass through the turnstiles.) It was good news for those hoping that New York racing thrive. On Wednesday this week, I watched the racing from the backstretch. The emptiness of the grandstand was of concern, particularly since the preceding Wednesday saw a three-year low of 8,044 in attendance. When I say empty, I’m not talking about empty seats; I’m talking about empty sections, some of which literally had no one sitting in them. 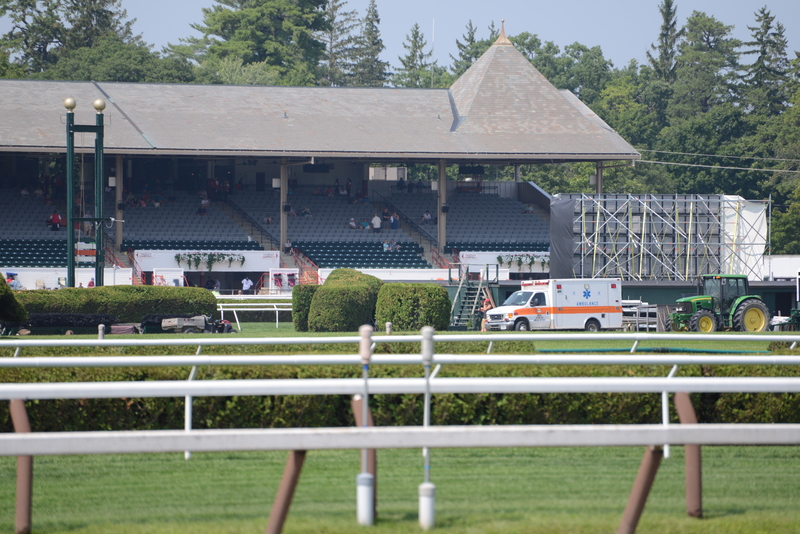 So I was flabbergasted when I saw that NYRA reported attendance of 18,500 for the day. These photos were taken around 3:00, about halfway through the card. 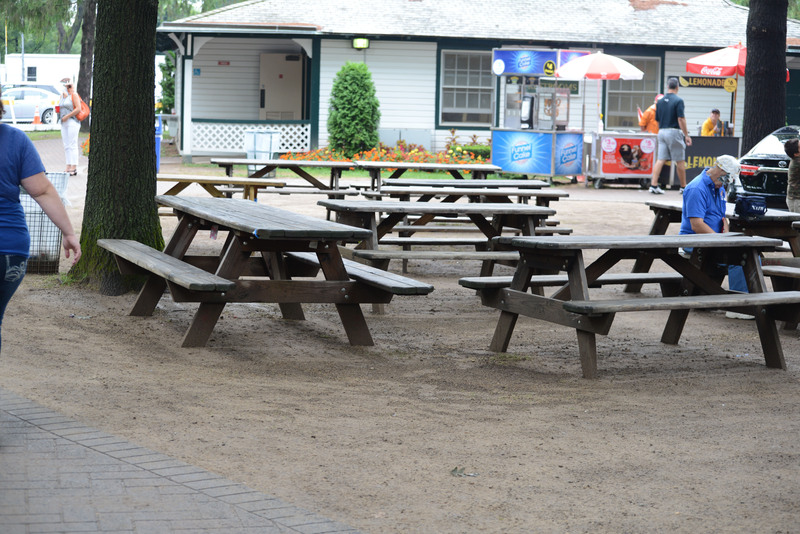 Back in the grandstand area, there were minimal – if any – lines, at betting windows or concession stands. 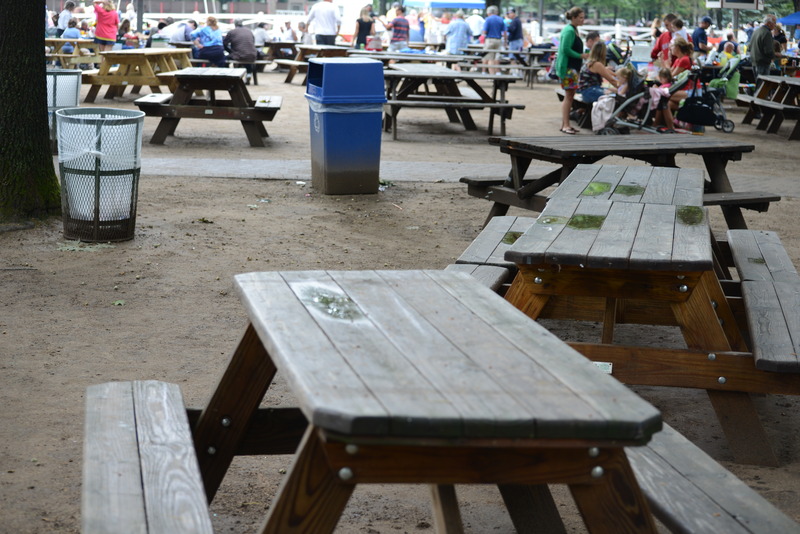 The area around the paddock had a number of patrons, but I saw empty picnic tables. 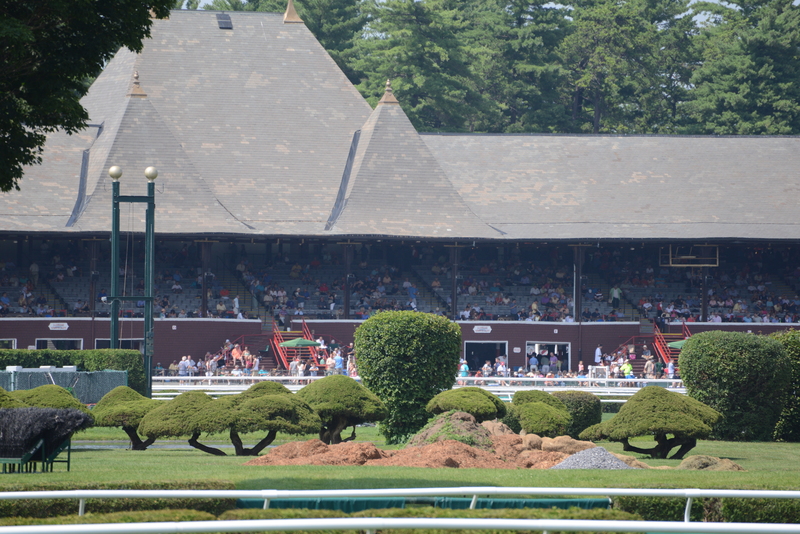 NYRA reported attendance of 24,205 for Friday. I’m no expert on estimating crowds from personal observation, but 24,000 people have to go somewhere, and these photos indicate they are not in the grandstand. (I apologize that the club house photos are not that clear.) A partial explanation arrived with a news article by Paul Post in The Saratogian. 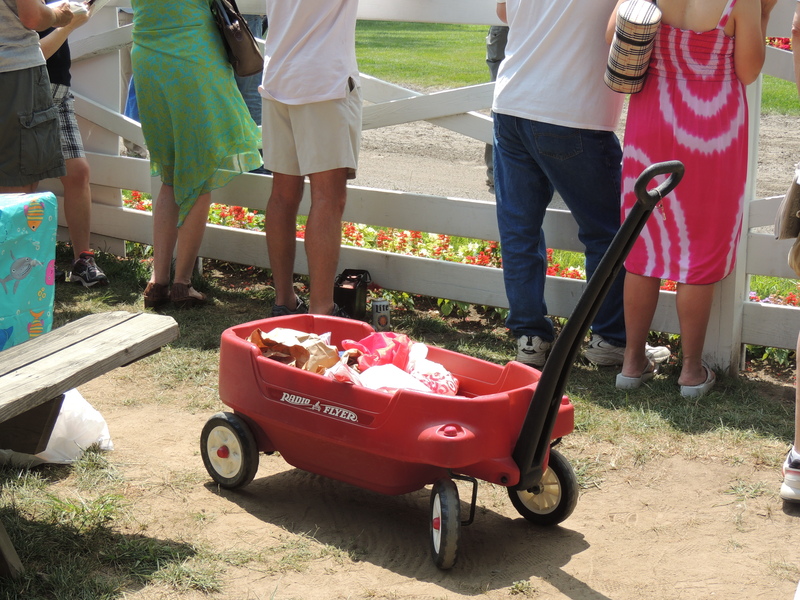 He reported that NYRA counts all season passes in the attendance total whether or not the pass holder attends that day. NYRA heavily promoted the passes this year before they “sold out,” and ended up selling 6,370 this year compared with only 1,402 in 2013. Neither part of Durso’s statement is actually true. Let me rephrase that. If the first part is true – that counting the passes as attendance is standard policy – those running NYRA should have some serious concerns. It would mean that the 8,044 attendance on that Wednesday included 6,370 pass holders and only 1,674 paid admissions. Monday of that week’s paid admissions would have been 2,974. Durso’s comments regarding other professional sports also cannot be accurate. 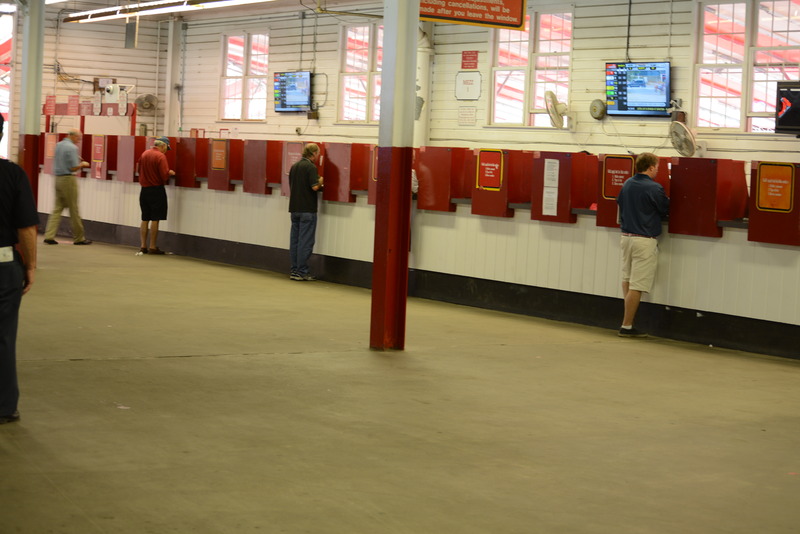 The NYRA clubhouse season pass costs $50, as compared with a pay-as-go approach of $320 for the 40-day meet. I could call the Boston Red Sox ticket office to see if they have a similarly discounted season pass, but know what the answer would be. If Durso means that baseball and football count reserved seat tickets in the attendance whether or not the patron shows, that sounds right. (Indeed, those same Red Sox were being ridiculed two seasons ago for claiming sell-outs when there were clearly thousands of empty seats.) 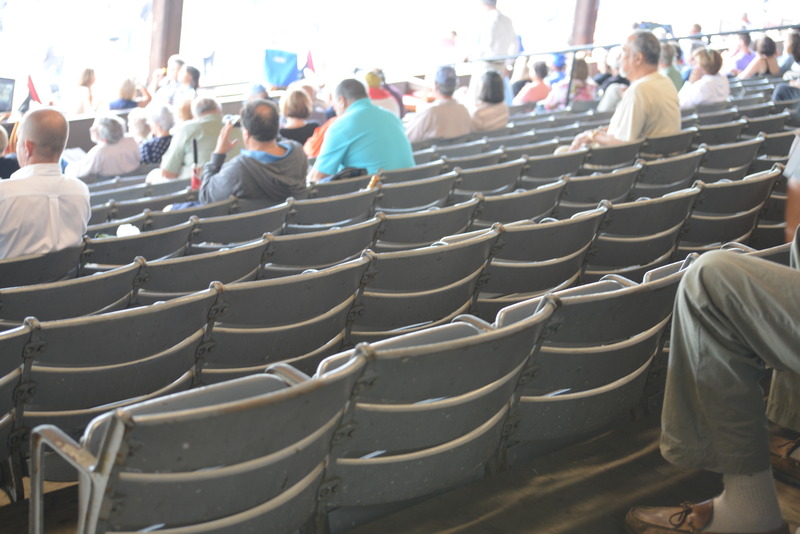 But, if he is talking about the reserved seat sales for Saratoga, that raises the question of whether those admissions are being counted twice. The holder of a reserved seat ticket does not present it at the admission gate because the cost of the ticket does not include the admission price. When NYRA changed its policy of counting “spinners” in the attendance on give-away days, Chief Experience Officer [sic] Lynn LaRocca said that the inflated attendance “adversely skewed the far more important business metric of on-track per capita spending.” CEO Chris Kay has identified per capita spending as the measure of customer satisfaction with the NYRA experience. As a matter of simple logic, if you include in the attendance figures people who are not there, you lower per capita spending – meaning, according to Kay, dissatisfaction with NYRA. Monday, Wednesday and Thursday of the past week provides a remarkable contrast to the same three days last year. 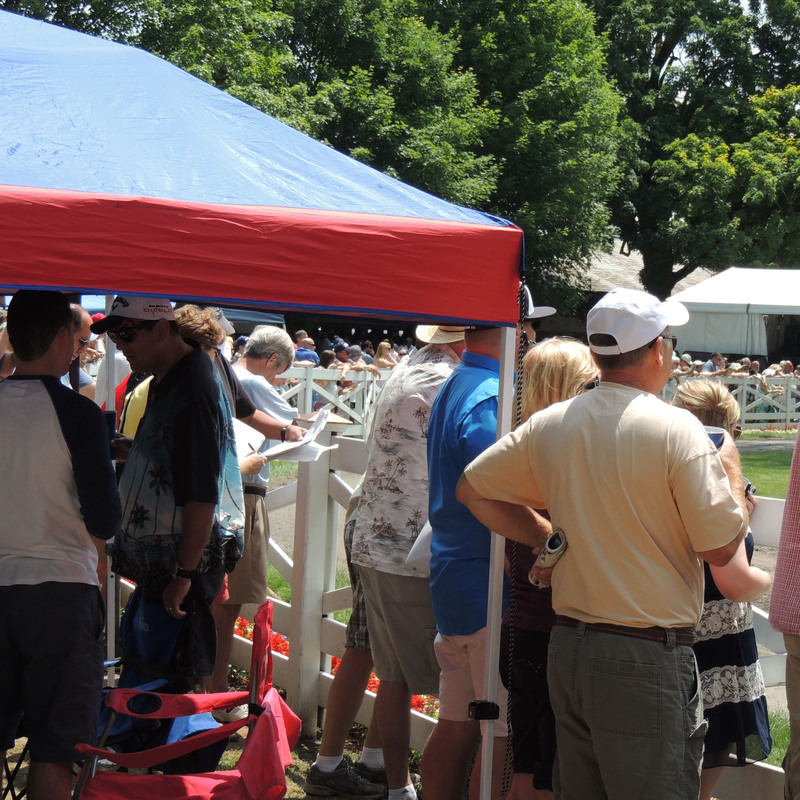 According to NYRA’s attendance figures, total attendance for the three days in 2014 increased by 14,071, a remarkable 41 per cent boost. What is more remarkable, however, is that the total handle decreased. So, 14,000 more people were in attendance and bet less money! The average daily per capita wagering fell from $175 in 2013 to $119 in 2014. So, if we use Chris Kay’s formulation, customers are about 2/3 as happy with NYRA as they were a year ago. I also did a simple calculation to determine what the real attendance figures might be this year compared with 2013. I subtracted giveaway days from the total attendance. Then I assumed that one-half of the increased pass holders actually showed up each day – a generous assumption I thought – and subtracted the other half from the total. The result? Attendance is down from 2013. To answer the question of why did NYRA start cooking the books, I think the key day is that Wednesday when attendance was only 8,044. I think they panicked, and saw their talking point of a vastly improved NYRA going down the drain. So they came up with a way of inflating the attendance figures. Spokesperson Durso came up with the typical refrain, according to Paul Post, that the “paid attendance figures are consistent, accurate and – as opposed to the past where spinners were counted in attendance figures – fully transparent.” Well, we’re not talking about spinners. NYRA’s change in that regard is the correct one. 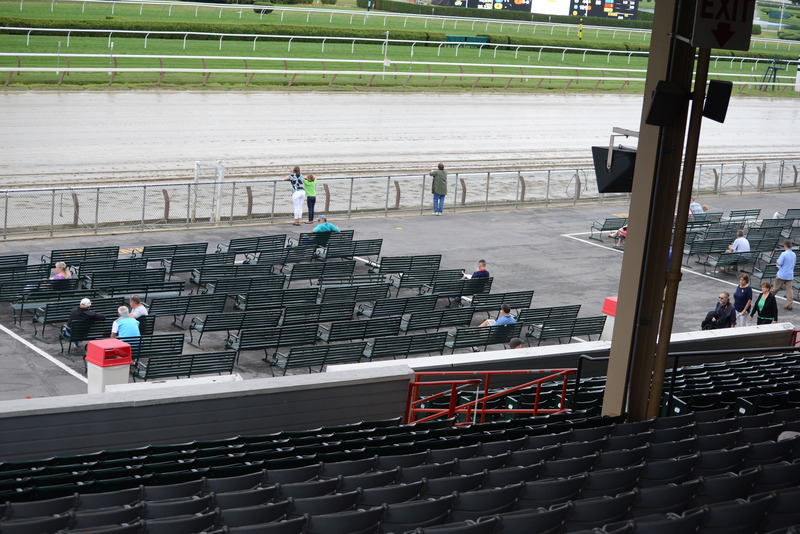 We are talking about six sections of empty grandstand when NYRA reports attendance of over 24,000. Why is true transparency – or honesty, if you prefer – important? Inflating attendance figure prevents a meaningful comparison of Cuomo Administration’s NYRA policies and performance with those of the prior NYRA. Most importantly, it prevents a meaningful assessment of the state of New York racing and the nation’s premier race meeting for 2014, and inserts in its place political calculation and manipulation. The NYRA approach on this issue assumes we are all stupid. 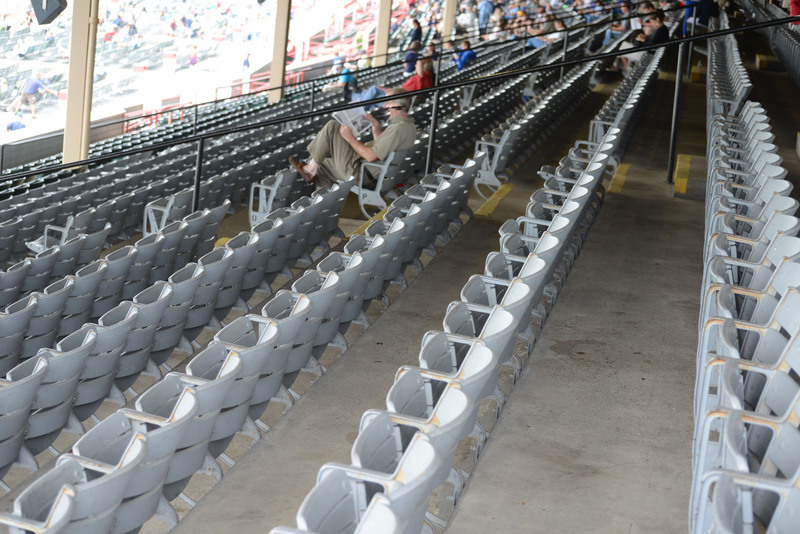 No one with whom I spoke last week believed the NYRA attendance figures. Some even laughed. But there are thousands of livelihoods dependent on New York’s continuing to have vibrant racing and breeding industries. I understand that those running the show may have different personal or political agendas, but please stop playing us for fools.